DOMi started playing piano at the age of 3. She studied both classical and jazz styles and it soon became clear that she was a real prodigy. By the age of 14 she was both performing Lizst piano etudes and playing with a top-notch jazz trio. By 17, she had moved to the United States to play professionally and continue her musical education. 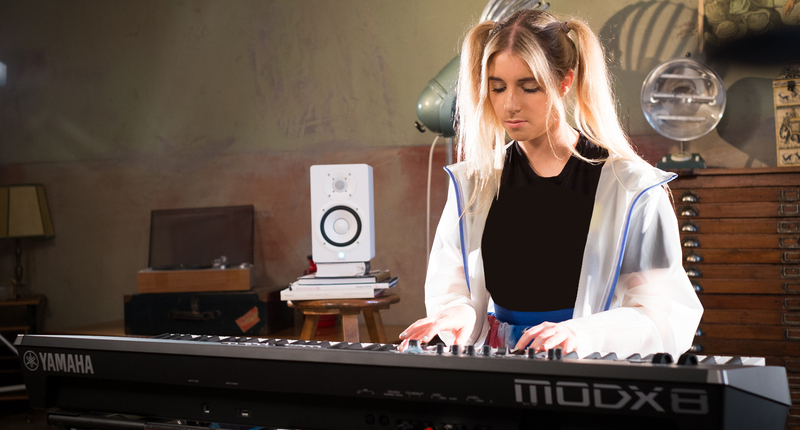 Check out her YamahaSynth artist page here and stay tuned for more about DOMi during our "Spotlight on DOMi" week! NAMM 2018: Interview with Scott Healy, Grammy-nominated Keyboardist for the Basic Cable Band on "Conan"
NAMM 2018: Introducing Soundmondo Compatibility for MONTAGE!